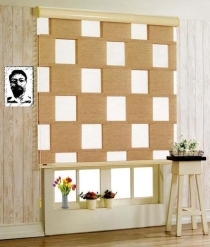 Classic blinds have evolved. With beauty that belies their simplicity, Sorenta Soft Horizontal Blinds are supple, whisper-quiet, and virtually maintenance-free. 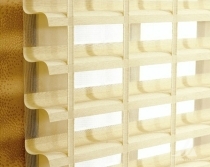 Extremely lightweight, these blinds can be raised and lowered with ease. 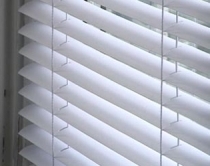 Forgiving, flexible slats bend with you, then gently bounce back i..
25 mm Aluminum Classic Blinds come with a Limited Lifetime Warranty and the top quality of all Graber products. 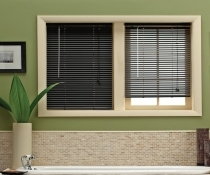 These blinds are cost efficient and have a simple design style making them suitable for just about any type of interior. They have the Deluxe two slat valance for an improved style and alu..
Aluminium Blinds are always the first choice for the customers because durable and easy to handle. 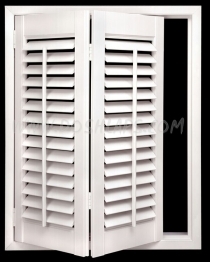 Hence, they are preferable for home and office uses. The 50 mm Aluminium Blinds are perfect for large windows with ample numbers of user-friendly features. These light-weight blinds have 8 gauge 2 inch.. Using wooden blinds is a great way to bring the natural beauty of the outdoors into your home or office. 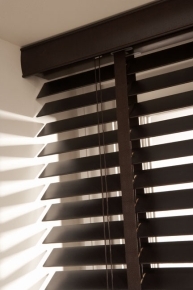 The stained and painted slats allow you to complement or match your existing furniture and deco, while avoiding the fuss of introducing colours or prints through hanging curtains. Easy to keep cl.. These fabrics allow the diffused sunlight stream into your indoor and give you the proper illumination for your study rooms, living rooms and even in bedrooms too. 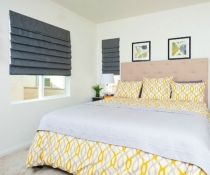 The Zebra sheer shades have the unique design of the light filtering/room darkening fabrics and sheer fabrics on same fabric panels alte..
Blackout Shades are a wonderful choice when privacy and light control are required, be it in your bedroom or your living room. Blackout fabrics can block out up to 100% of the light entering your room, ensuring an undisturbed sleep. 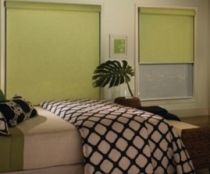 ..
Dual solar roller shades to give you ultimate light control and privacy. These shades feature two fabrics in one headrail casing. So, you can lower or raise each or both fabrics to suit your light and privacy requirements, anytime of the day or night. Typically, light filtering and room darkening or.. If you want to append an extra “Wow” factor to your existing windows and indoor, then you might need the right choice to give goose bumps whenever you see your indoor decoration. We know, what’s happening in your mind right now. Yes, you are thinking of our Pleated Shades because you know these shad.. These shades come with a number of colours and the styling options for your home could be many if you chose to decorate your home with these shades. These shades can be made available to you at various levels of translucency depending on the type of lining you choose. ..